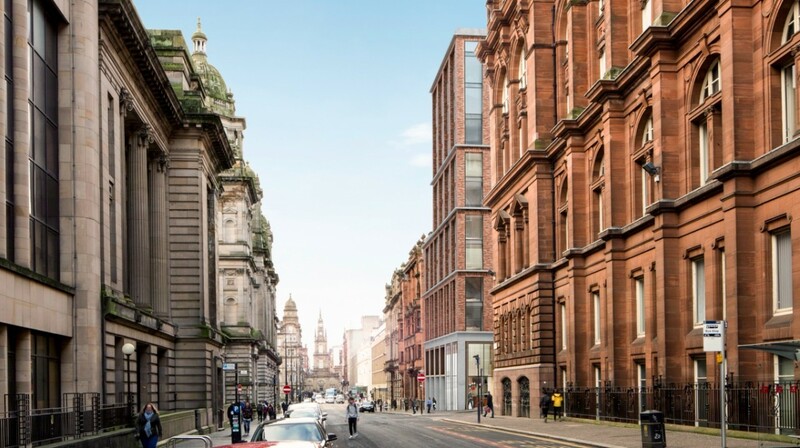 The Chris Stewart Group is to formally submit a planning application for a £70m lane development off George Square later this week after securing the backing of Glasgow Chamber of Commerce. 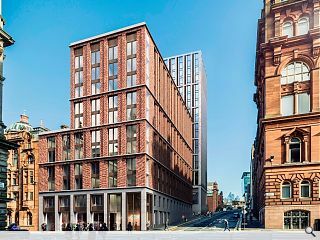 Hoskins Architects have been brought on board to transform two listed buildings on George Street into 43 serviced apartments and office space together with construction of a 258-bed hotel and a 272 bed student accommodation block. A new lane will also be routed through the site to provide a focal point for a range of restaurants, bars, cafes, boutiques and food stores as well as a public plaza. Wow; bold! I like it. enourmous and largely blank gable towering over George Square. no thanks. And, we've not even had a glimpse of the lane aspect yet. 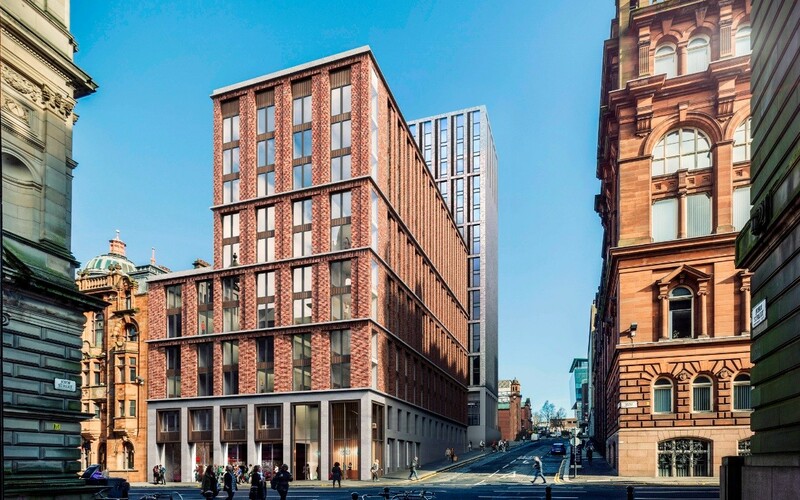 I like it very much, though I can't help but think that the proportions of the facade to George St would be better if they flipped the top two blocks, so the window rhythm was 2-2-3-2 rather than 2-2-2-3. As for the blank facade towards George Sq - love it. Bold. Reflects the blank east & west facades of the Wylie Shanks Glasgow College building. 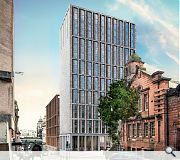 Yup I say keep the Art Deco building, incorporate it into the design and reduce the height of the tower that it doesn't impose on George Square, then its an all win design for Glasgow! Some really nice work here - love the red brick building in particular and I like the suggestion of #5. Agree with #4 about the art deco red sandstone building, first thing I noticed and shame it wasn't incorporated into the design. The red brick closer to GSq. looks OK.
Takes onboard its surroundings and offers something to the street. The modern tower on the other hand looks like "stack-a-pleb" design on a budget. Great opportunity to work with the existing B+P tower to offer a much improved cityscape. However the current design is poor with little character and no roof top personality. It looks like a teenager who isn't as good looking as either of their grandparents. I like it but the big blank sides of the tower just don't sit comfortably with me. Hopefully this is just the resolution of the visual and there is actually something going on here. Looks good, although the enoch area needs to be gentrified. Good to see some movement here. Like the proposals. I understand the need for height restrictions here but can we a bolder and go above 30 storeys in Tradeston and the Charing Cross corridor. 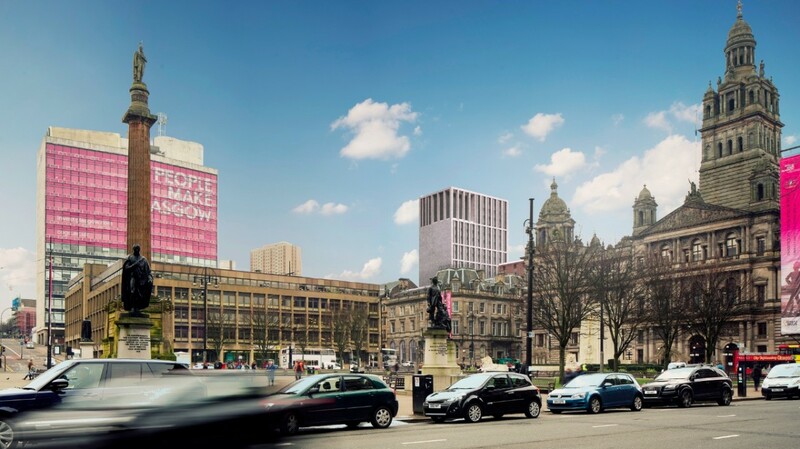 Make our city centre easily identifiable by its skyline. Most of the tallest buildings are in the surburbs. 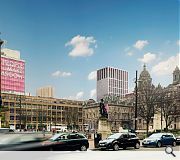 A dynamic skyline on the entrance to our city centre via trains to Central and the airport Charing Cross corridor will give the city a gutsy, happening, you want to locate here appeal. City planners make it happen and stop being cautious. 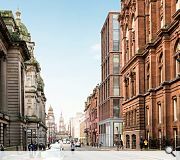 We need some more signature buildings on this corridor to support The co-op building ,Charing Cross Mansions and the Mitchell library. That building over the motorway is an 80s eyesore. It's our front door! First impressions count. It needs to be made over in some way. 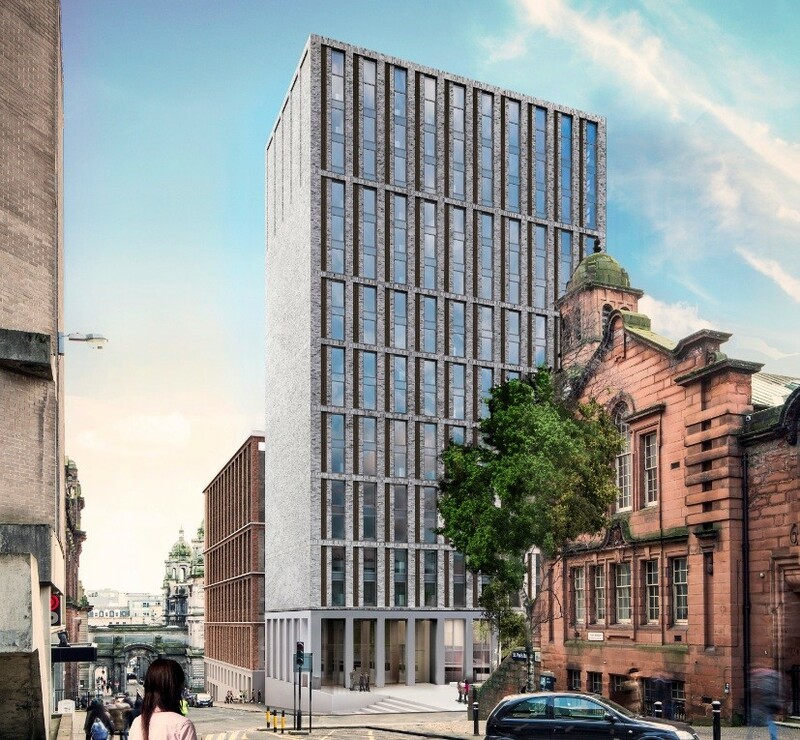 The building building next to the leaning fountain of Glasgow is another blot on the landscape and has to be demolished or given a much needed makeover. A building can project a perception, negative or positive of the tenant . I wish some businesses would remberer this.